Stay: The six-room Riter Mansion () bed-and-breakfast serves apple pancakes with views of maples. From $99. Stay: Wake up in one of the three ski-in yurts at Galena Lodge (), with your order of freshly baked breakfast muffins delivered to your front flap. From $125. Stay: In the Gold Rush town of Julian, the Craftsman-style Orchard Hill Country Inn () has a hammock and cookies waiting for you. From $195. Stay: Main Street’s 1898 Connor Hotel () has a dozen rooms, some with gas-fired woodstoves and windows framing red-rock mountains. From $95. 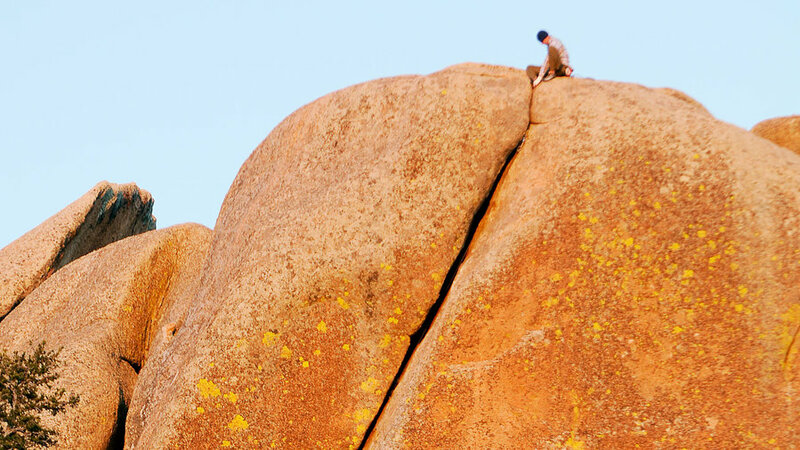 The hikes are strenuous, but the rewards sweet in Red River, the tiny ski burg 36 miles from Taos in the heart of New Mexico’s Sangre de Cristo Mountains. 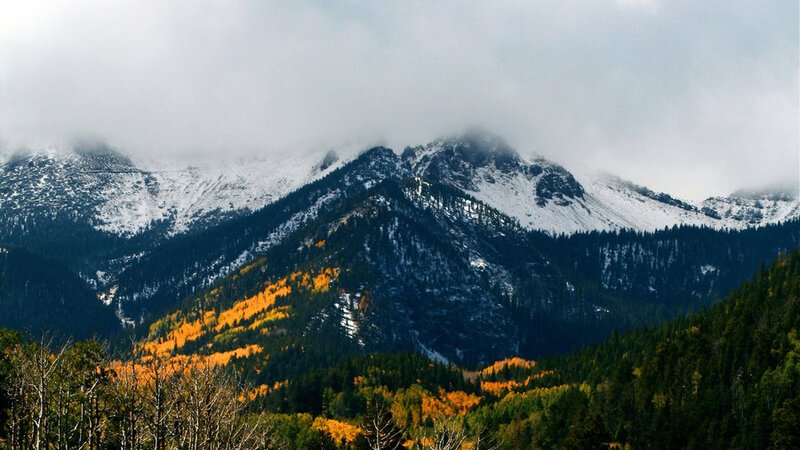 Brave your way up Wheeler Peak (), the state’s highest mountain, at 13,161 feet, in a rigorous 16-mile round-trip excursion. (Hike starts about 8 miles southeast of downtown at the Horseshoe Lake/East Fork Trail.) Or stay in town and let the Platinum Chairlift whisk you up Red River Ski Area ($15; ) past 10,000 feet, then follow easy marked trails or just fan out along the mountainside. Stay: Cozy up in the forested riverside cabins at Copper King Lodge (), where a river-facing hot tub and fishing holes are just steps from your door. From $79; 3-night min. You hardly even need to pedal on most of the beginner trails at the Jackson Hole Mountain Resort Bike Park ($35/day; )—you just glide. 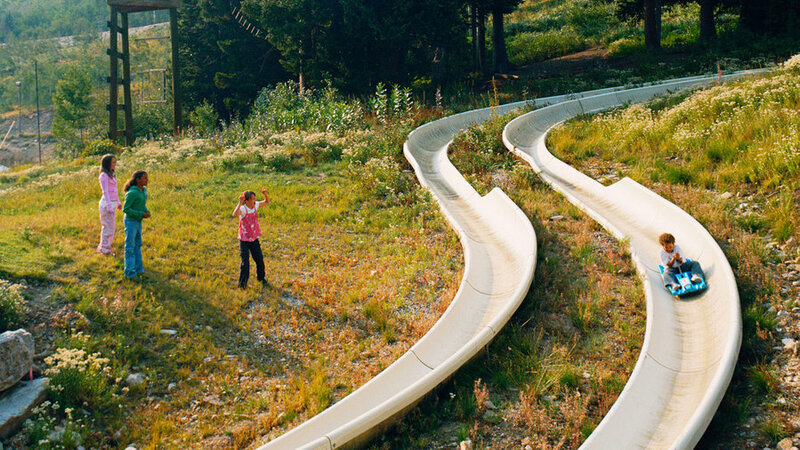 Access the park’s six trails via the Teewinot Lift, then speed down 4-foot-wide, luge-track-smooth paths. 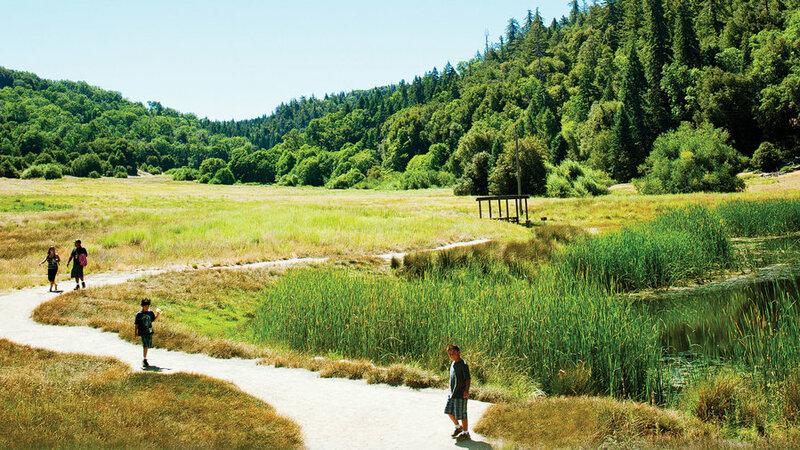 Don’t miss the Lucky Charm trail, where you’ll pedal over a 377-foot-long wooden bike bridge. You'll find plenty to be thrilled about off the mountain, too. For a small town, Jackson packs big-city punch when it comes to lodging and dining—at places like the Kitchen, where Wagyu flank steak is topped with pecan butter and served with foie gras Yukon Gold potatoes ($$$; 155 N. Glenwood St.; 307/734-1633). Stay: Tour the collection of cowboy paintings before turning in at down- town’s Wort Hotel (). Not sleepy? The hotel’s Silver Dollar Bar has killer jalapeño margaritas, live bluegrass, and more than 2,000 coins inlaid in its bar top. From $389. 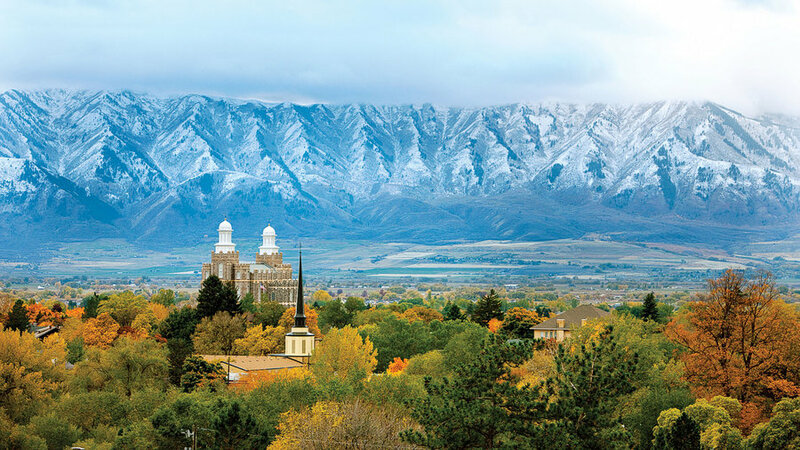 Situated in Colorado’s "Banana Belt" and surrounded by three mountain ranges, Salida gets only a fraction of the snow that blankets the surrounding high country―and milder temperatures too. But if you're really looking to get warm, the 100° pools at Mount Princeton Hot Springs Resort (pool use $15; 20 miles from Salida at 15870 County Rd. 162, Nathrop; 888/395-7799) are just the place to take the edge off the winter chill. 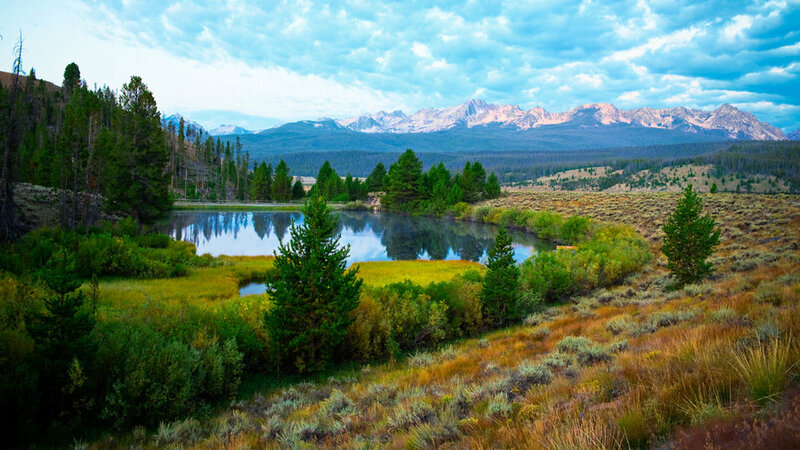 Take in views of snow-shrouded 14ers while you warm up in the two manmade thermal pools overlooking Chalk Creek, and over a dozen natural creekside pools winding through the valley below. If you're still itching to work up a sweat, head to nearby Monarch Mountain ski area (). 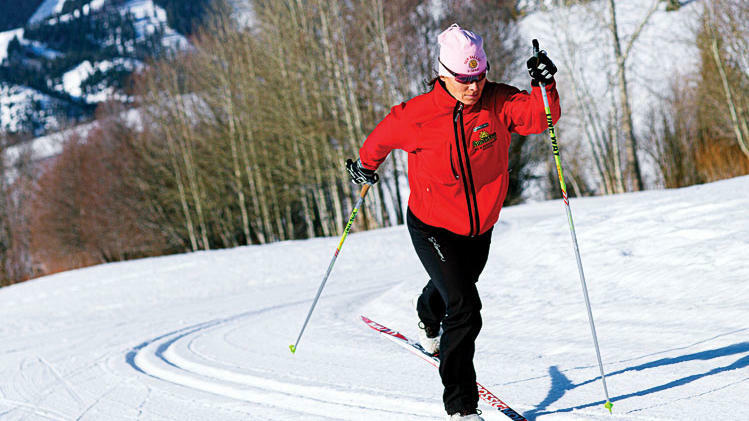 Located 20 miles west of town, with 63 ski trails (22720 W. U.S. 50). At the West’s biggest ski resort, you can live it up or find some Olympic-sized deals. Want to hit the slopes? Fresh Tracks (), the get-on-the-mountain-first breakfast ticket program, is just $18 with a $95 lift ticket—a heckuva lot cheaper than a helicopter ride. For that, you get a hearty breakfast at the Roundhouse Lodge and first crack at the slopes. Not an alpine skier? Tour 34 miles of cross-country trails at Whistler Olympic Park in Callaghan Valley ($22; 5 Callaghan Valley Rd. 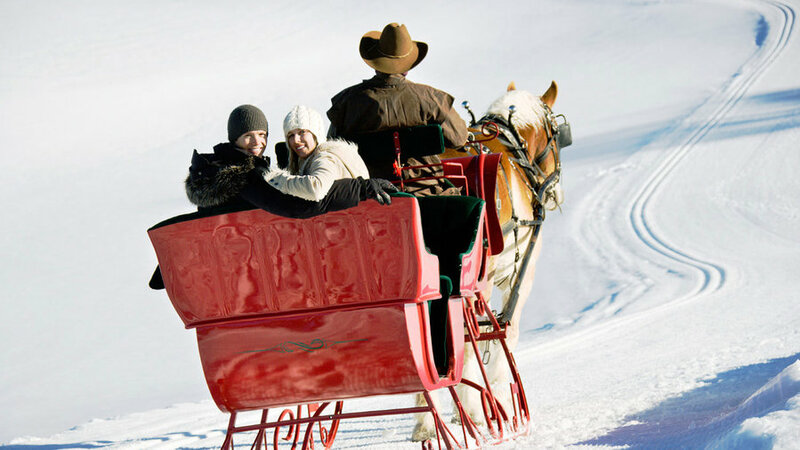 ; ), or sign up for a horse-drawn sleigh ride with Blackcomb Sleighrides ($54; ). Stay: For ski-in/ski-out convenience without Whistler Village prices, find some buddies and split a comfy two-bedroom condo at Legends Whistler (), at the base of the Creekside gondola. It’s only $395 a night and offers quick mountain access, plus a full kitchen. 2-night weekend min. Hiking is plentiful here, but two wheels are the true star: At this birthplace of mountain biking, you’ll find more bikes than people. Grab one from the Alpineer for a spin on the Lower Loop, a 10-mile network of single- and double-track trails and dirt roads. Or jump on the Upper Loop, a track east of town that takes you along Mt. 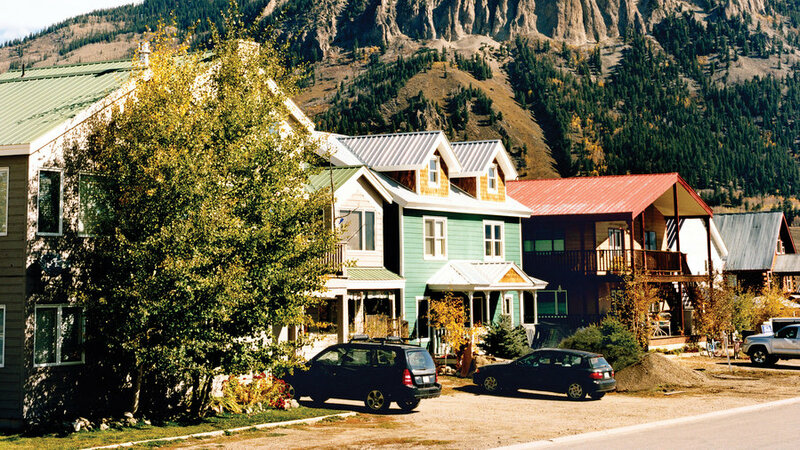 Crested Butte ($20/day; ). 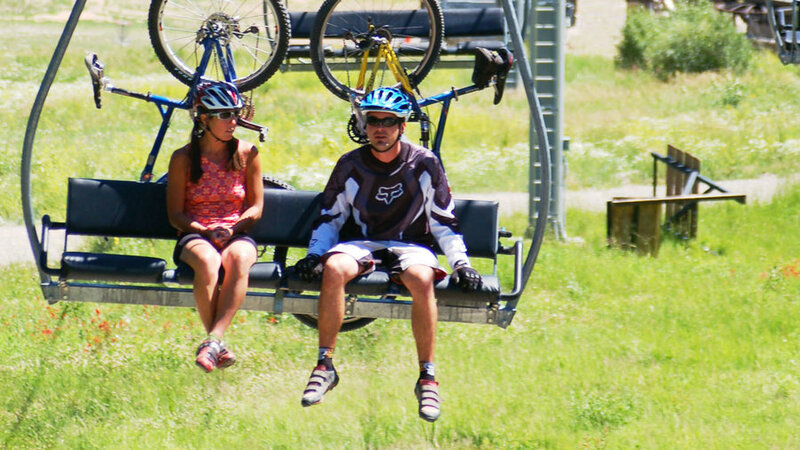 Leave the wheels behind as you whiz through a canopy of dazzling aspens on the Crested Butte Zipline Tour, a two-hour adventure that spans five connected lines and three suspended bridges (from $59; 970/349-2211). 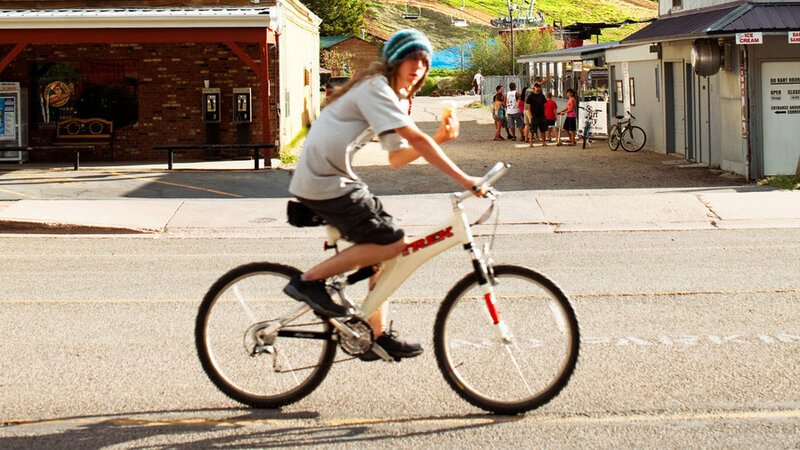 Stay: Even inns here get in on the bike love, like the Ruby of Crested Butte (), a luxe but low-key B&B with 1,000-thread-count sheets, Frette robes, and loaner cruisers in a rack out front. From $229; 2-night min. 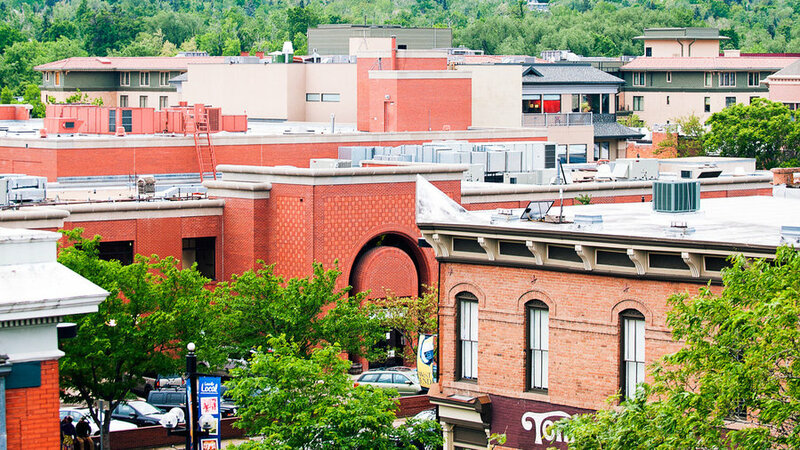 A reinvented logging town populated by skateboarding students, Cali refugees, and athletes-in-training (all of whom care deeply about what they eat and where it comes from—the closer, the better), Bend is experiencing a flood of locavore dining and nouveau food carts. 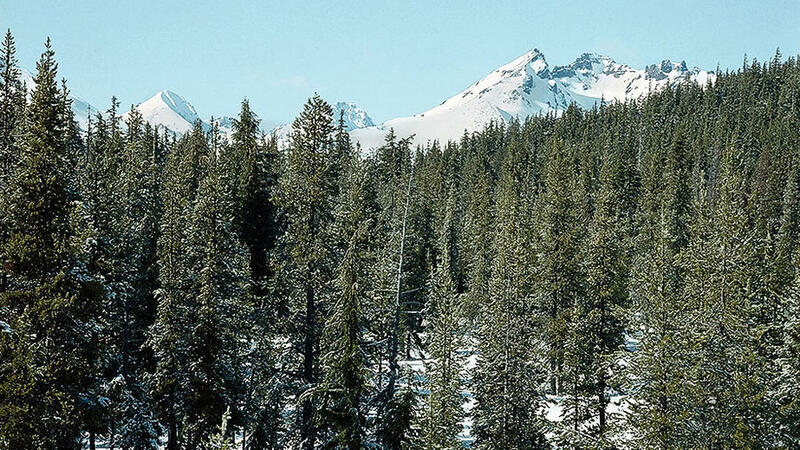 But the area's crowning jewel is located just 22 miles west, rising out of the Deschutes National Forest: solitary . It’s a challenging ski area: 3,683 acres of exhilarating, windswept runs with a 3,365-foot vertical drop. Stay: The boutiquey Oxford Hotel (from $179; ) puts you in the heart of downtown’s buzzy small-plates scene—and one of the stars is the hotel’s own 10 Below restaurant. 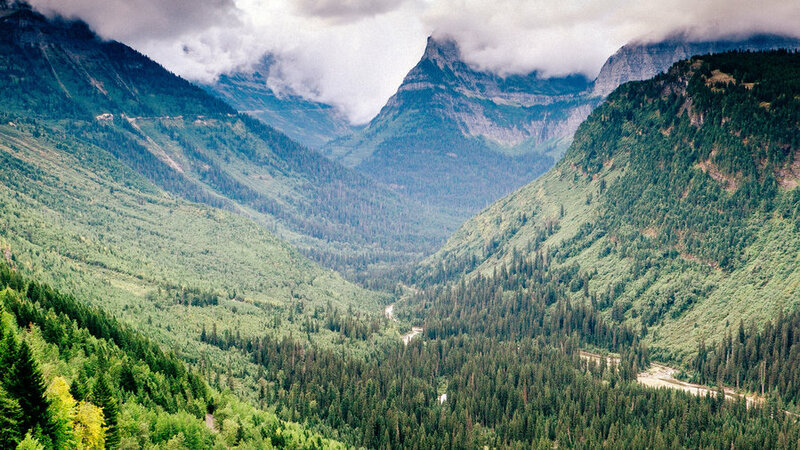 Stay: At the Inn at Snowbird (from $99; ), which greatly reduces rates in summer, your condolike room—complete with kitchen and wood- burning fireplace—is just steps from the slopes. Next door, the Lodge Bistro ($$$; 801/933-2145) has comforting classics like American Kobe bavette steak with mashed potatoes and housemade steak sauce. 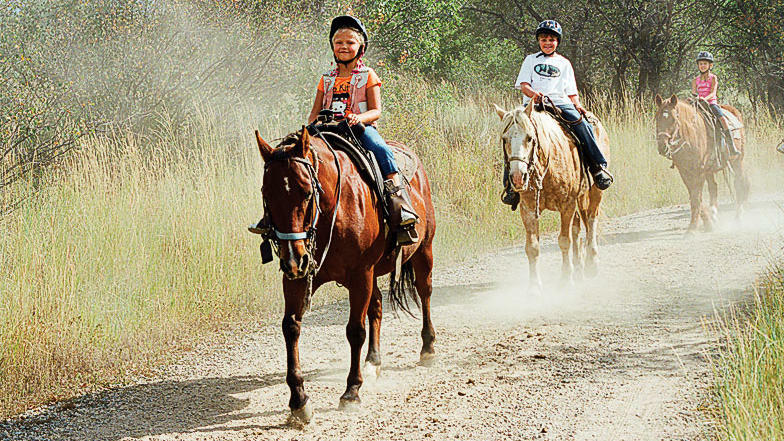 Head to Howelsen Hill—just a short walk from downtown—and let the horse do all the work at Sombrero Ranch, where guides trot you through miles of shaded, pine-studded trails overlooking the lush Yampa Valley (1-hour tour $35; 970/879-2306). 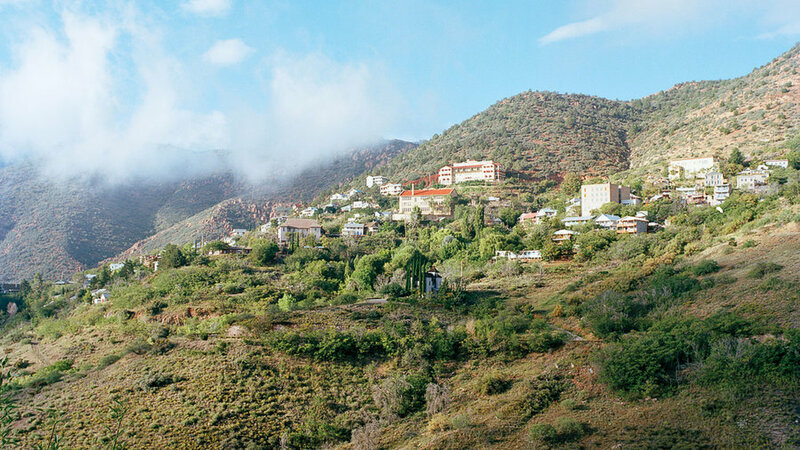 It’s a water wonderland at downtown’s Old Town Hot Springs (from $18; ), where eight mineral pools (feeding off the naturally bubbly Heart Spring), two twisty water-tube slides, and an in-pool climbing wall await. Stay: Opened in 1948, the Old West–themed Hotel Bristol () is complete with saloon and Native American quilts in the bedrooms. From $96.